Police are hunting for a self-styled property agent who is suspected of selling state-subsidised houses in Du Noon without a mandate from the owner of the house, and then pocketing the money without handing over title deeds to the property.The arrest warrant for the ‘property agent’ follows a case having been opened against her at the Milnerton Police Station by Joyce Greeff in December. Greeff, who stays in a one-roomed backyard shack with her son, daughter-in-law and grandchild, alleges that she paid R60 000 to the ‘agent’ in July last year, only to discover that the woman had no right to sell the house. Greeff said after she set out to buy a house in Du Noon, she was referred to the ‘property agent’ who showed her three RDP houses she said were for sale. After seeing a house she liked, Greeff said she asked her boss for an early pension payout and handed over the asking price of R60,000. But transfer of the property never took place and she was not been able to move into the house. Investigations at the deeds office revealed that the property belonged to Cynthia Kebareng Moseki who died in December 2003. Ownership of the house has since been transferred to Moseki’s four children who live in the North West Province with their grandmother. The house remains tenanted, with rent being paid to Moseki’s brother in Cape Town. Then in a case of mistaken identity, on Thursday last week (January 20) two police officers arrested Du Noon resident Beauty Ndamane, believing her to be the suspected property agent. 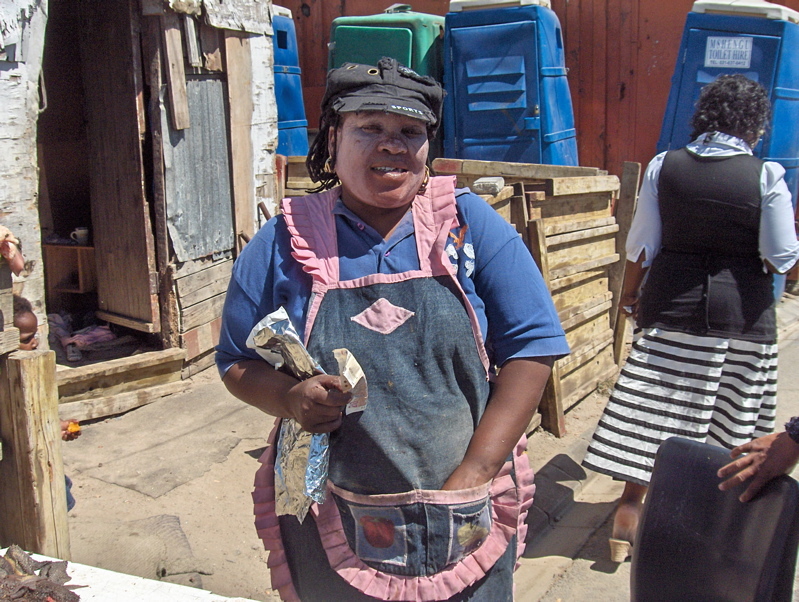 Ndamane said two police Officers from Milnerton police station stormed into her shack and told her she was accused of selling an RDP house that did not belong to her for R60,000. Once at the police station, she said, the officers checked out her ID book and discovered she was not the woman they were looking for. “I m very cross about what happened. They said they are very sorry,” Ndamane said. Milnerton Police spokesperson Warrant Officer Daphne Dell said police officers “might” have brought Ndamane for questioning and found out that she was not the suspect they were looking for. Dell confirmed that a case of fraud had been opened and police were hunting for the suspected property agent. She was not able to say how many people had opened a case of fraud against the property agent but said “there is more than one complainant”. “As investigations are going on more information is emerging,” Dell said. Du Noon ward councillor Lubabalo Makeleni, speaking in his previous capacity of Sanco co-ordinator last year, said Sanco was investigating instances of fraudulent RDP house sales in the township and had identified eight houses that had been sold illegally. Four of these, Makeleni said, had been sold by the ‘property agent’ who allegedly swindled Greeff..
On Monday, Greeff said she decided to open a case against the property agent after she “disappeared” from the township. She said she had confronted the property agent and she had kept promising she would reimburse the R60 000. — Peter Luhanga, West Cape News.